How to find the perfect Christmas gift. Guys, did you realise that there are only 100 more days left until Christmas? 100 more days to go may sound like more than enough time to find the perfect Christmas gift for your loved ones. You may start briefly thinking about what type of presents you want to buy but you are not putting that much attention to it just yet. You may have a glimpse of an idea but sooner than later you will even have completely forgotten about what it was that you wanted to get. Before you realise Christmas time is in full swing and you are extremely busy at work (as is usually the case before the end of the year). You are busy attending Christmas dinners and parties. During the last week before Christmas you are ending up rushing from shop to shop to get all the Christmas presents sorted. Unfortunately this way we often don’t put enough attention to whether the gifts we buy will bring joy to the ones we love and care about. I love getting gifts for people that I know they will love. I get really excited when I have an idea for great gifts, really enjoy buying them and of course handing them to the ones I love. Without wanted to sound arrogant I’m pretty good with finding great presents for people to the point that I’m often asked by friends if they don’t know what to buy for their beloved ones. So here are my tips on how to find the perfect gift. Pay attention to what your beloved ones are interested in all year around and don’t just wait for Christmas time to come around. Buy Christmas presents at any time during the year and store them somewhere until Christmas time comes up. Listen closely to when your friends complain about something. Maybe you can solve their issue with a thoughtful present. If they don’t need anything in particular, think about things they are passionate about write those them down. When you don’t get an idea straight away, put the list to the side and come back in a couple of days. Because you wrote it down it’s now in the back of your mind and chances are high that you realise when you see something suitable. Get a replacement for something they absolutely love using but is completely worn out or even damaged. Simply ask them if they would replace it what they would choose. If you do this all year around they won’t get suspicious about you thinking of buying it as a Christmas gift for them. Do you have a long history together? Make or get them something meaningful relating to the times you have been through together, maybe something that makes them laugh. Make a list for presents where you can add ideas and thoughts to all year around. It will make your life so much easier (not just for Christmas but also for Birthdays). When you make a gift think about what your beloved one wants/needs. This is about them not you. Last but not least remember that great presents don’t need to be expensive. 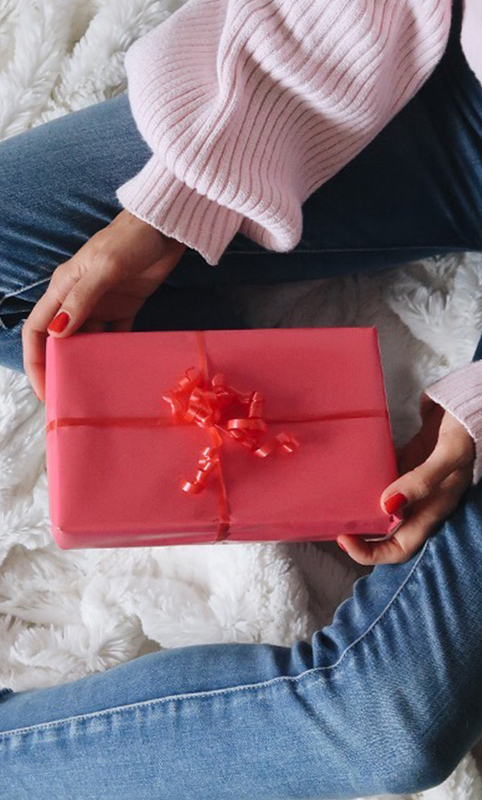 In essence, finding the perfect gift lies in paying attention to what your loved ones say or do all year around. So good luck with finding the perfect gifts. If you start thinking about them now and if you follow my above mentioned tips I’m sure it will be easy for you.